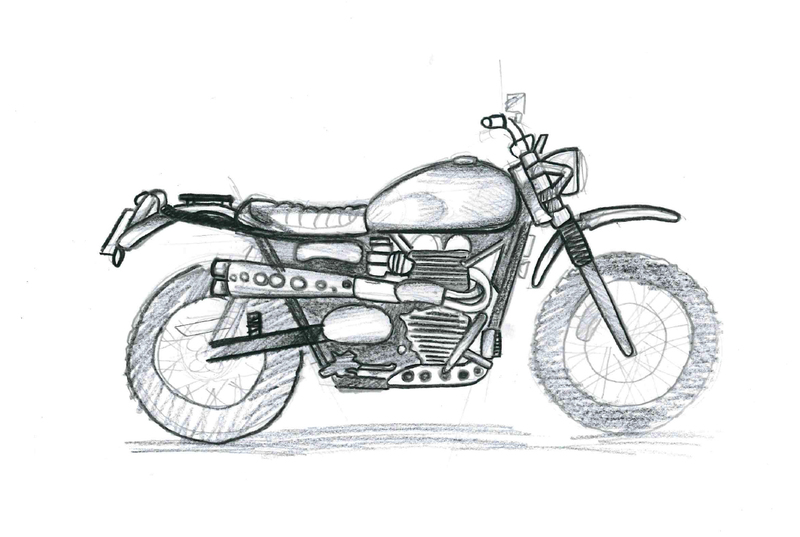 Each illustrator or artist, has his own way of work and methods, an own way of how to draw a motorcycle. There are some artists who are truly craftmen, and others who rely more on digitan devices and new techniques through the screen. We're lucky enough to have graphic designers inside the team, and this makes easier the production of initial sketches of how it's going to be the next project by Tamarit. When we start a project, the first ideas come from obviously a piece of paper and pencil drawing. 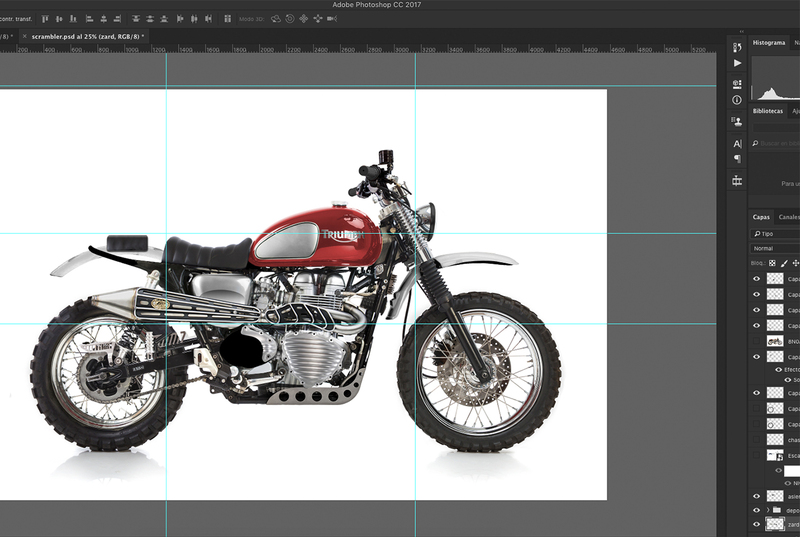 We always build our projects on a Triumph Modern Classic so, let's talk about how to draw a motorcycle as Tamarit Motorcycles does. First thing is to know which motorcycle would act as a donor bike. 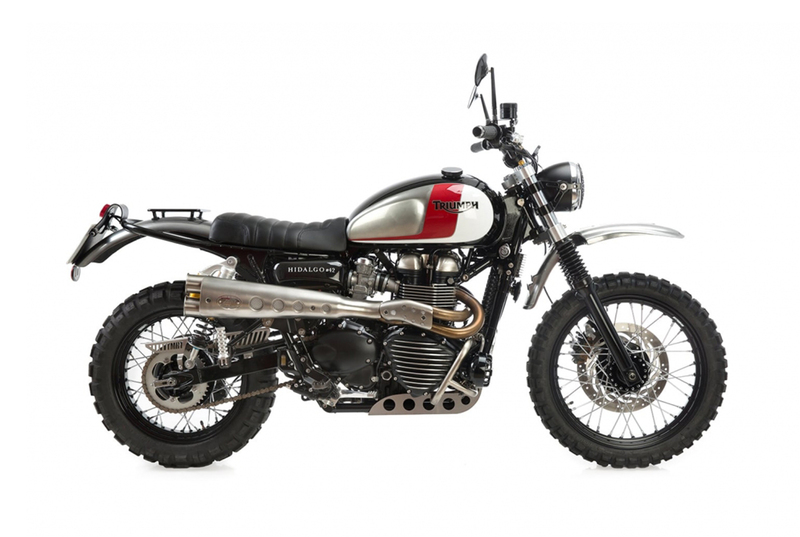 Let's say it's a Triumph Bonneville, a regular one in our catalogue. We first draw the main lines and the wheels. As you can see they only are a few random lines to place the drawing on the canvas where we are working. Geometric lines and shapes. 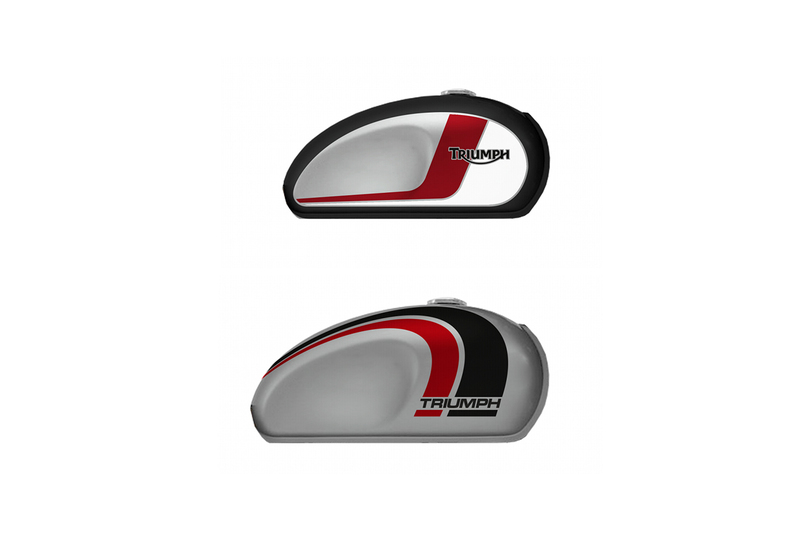 We focus now on the front part of the motorcycle, the fuel tank, the handlebar or headlight. We need to have now the main concept and idea we're working on and we finish all the structure and the engine. 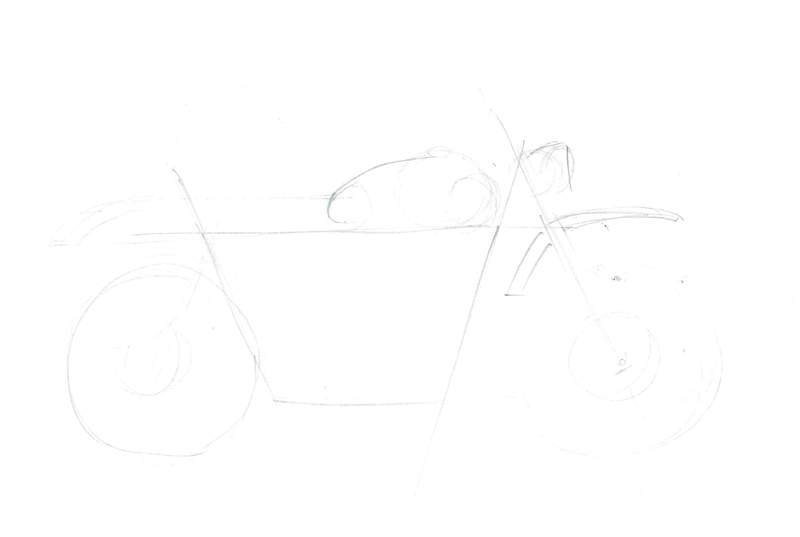 As you can see we begin to give shape to those geometric lines that we had on Step 1 and now it would look as a bike. 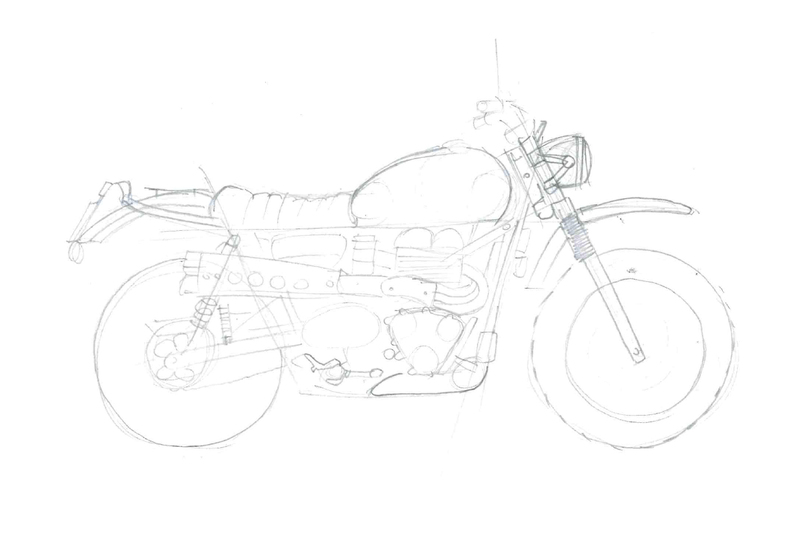 Now we define which seat is going to have the motorcycle depending on the style of the project, Café Racer, Brat Style or Dirt Track. It's very important to have already in mind the style we want so we know which Tamarit catalogue accessories we're installing and give enough room on the drawing to place them on it. ⦁ We know get to work into the details of the motorcycle. In order to provide our mechanic a detailed map of what we're going to do, it's important to highlight the details as well. 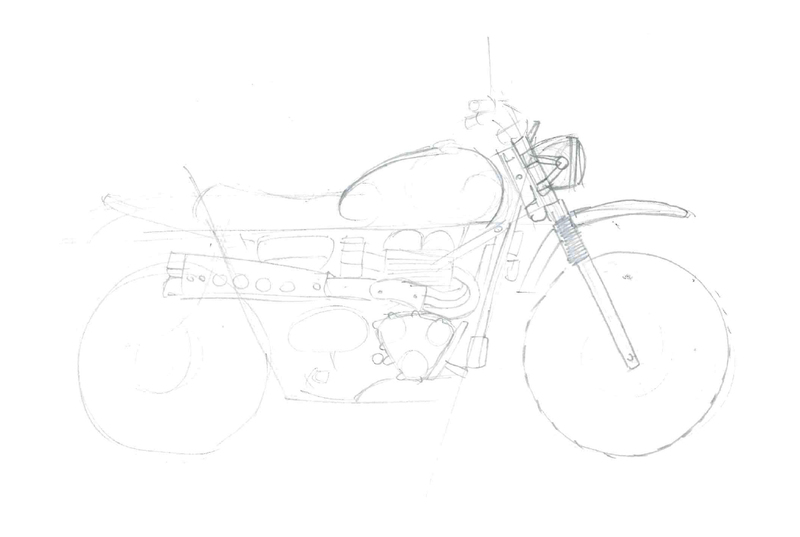 ⦁ Now with the help and support of bikes previously done, we turn the drawing into digital. 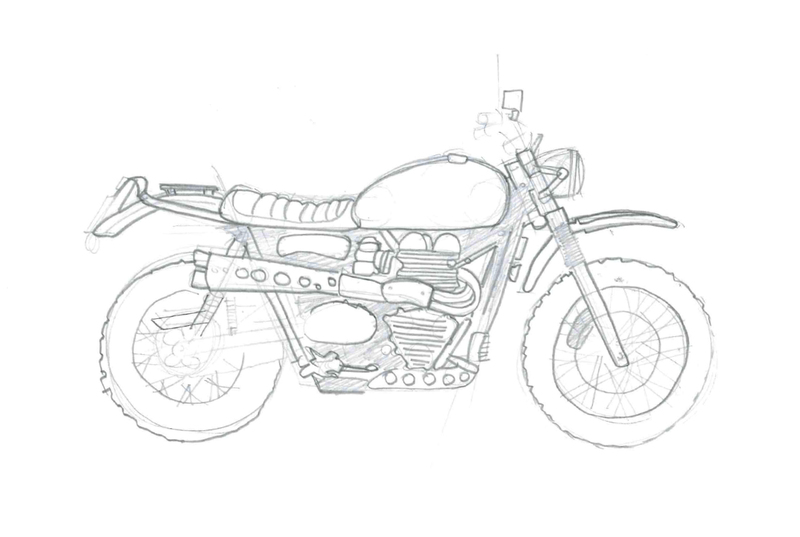 We normally make the drawing in photoshop just to give the bike drawing a more realistic look, but trutch is that the sketch should not be made public, just to give to our client a preview of what's going to be made in the motorcycle and we also don't like to give a final result already on paper. We always love to give to our client a little surprise so we don't want to reveal every detail beforehand. ⦁ We finish the details on the fuel tank and we turnt them to digital in order to send them to the paint workshop. This is the last step,which is creating the vector files to our paint workshop in order our associates to make an exact replica of the work we previously done. These are the steps of how to draw a motorcycle in Tamarit. Each one has their own style and we find truly artist specialized on these kind of jobs around the internet.